When you create a website and implement the different practices of SEO, you expect a constant stream of traffic to your site to sell your products/services and fulfill the end goal of your online business. Generally, website traffic is defined as the number of people that visit your website or its pages and the length of time they spend on those pages. These numbers let you know how well your website is performing and you optimize your website accordingly. Visitors traffic real time statistics is a statistics collector plugin, which accumulates statics (such as visitors, page views, locations, operating systems, browsers, etc, ) and displays them with impressive charts. This plugin is available in two versions- basic and Pro. This basic version has limited options. You access more features with the pro version such as interactive Google map of visitors location, GeoIP location by country using maxmind database, and others. 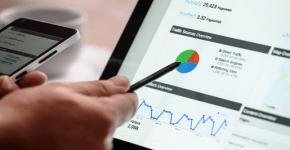 If you are curious about knowing the exact number of visitors that are visiting your site, page views, time spent on your site, etc, then you must use WassUp Real Time Analytics. It is one of the most excellent plugins of the WordPress, which lets you track site visitors in real-time and offline as well. Using this plugin, you get different types of accurate and up-to-date statistics directly to your WordPress dashboard. It comes with a detailed admin console panel for monitoring visitors. Website admins can make use of it improve SEO efforts and statics also. Slim Stat Analytics is a widely used plugin for WordPress, which requires PHP or MYSQL versions to run on the system. When you install this plugin, you will be able to access the activity log in real- time view and website traffic overview easily. It is compatible with most caching plugins and cloud fare. One of the most prominent features of this plugin is that it comes with several customization options. You can display reports directly on posts/pages or in widget simply by adding shortcodes to your website. This plugin is also capable of showing responsive reports on your mobile devices as well. It has an admin dashboard widget, which gives you a detailed summary (in a graph- for last 30 days) of the top searches, referrers, pages, site usage and the total number of visitors. It supports event tracking with outbound links /downloads and localization too. AFS Analytics seems like a great alternative to Google Analytics. You can use this plugin to get all your website statics on a single page. It will help you to analyze the behavior of your audience, which gives you an idea as how to promote your website to get more and more visitors. The “Right now” option allows you to see the current activities on your website. It uses asynchronous tracking technology to track visitor’s activities on your website. Google Analytics Counter Tracker is one of the best WordPress plugins that you can use to track hits/clicks on your website and get up-to-date reports in attractive graphs. This plugin is fully compatible with almost all versions of the WordPress. This simple and easy to use plugin has a mobile-friendly design, which allows you to track visitors on your site using different mobile devices. You can get analytics report in different languages with this plugin. Simple Feed Stats (SFS) is a free plugin for WorPress, which helps you to track the number of people that subscribe your RSS feeds. It comes with a number of tools & options, allowing you to use this plugin easily. Using the available shortcodes, you can easily display the number of subscribers & comment statistics on your website. Tracking your website visitors is essential in online business as it helps you to convert visitors into leads, push your sales, retain old customers and obtain repeat visitors. 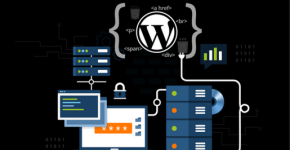 If you operate WordPress websites, you may use these plugins to keep a close eye on your site’s traffic and take decisions accordingly to grow your business and increase revenues.